so i'm hoping that everyone had a terrific thanksgiving and that all got a chance to sit back and relax with family and friends for a couple of days. or not. sometimes it's nicer not to be with family. depending on the family. 'tever. 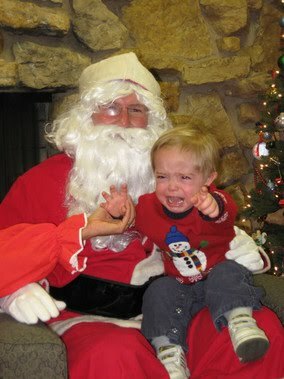 a little "scared of santa" to get the season started. how 'bout it? got anything for me...? so i've known my pal, james desalvo, since the early 80s when we were studying theater in college together. typical story; we lost touch in the mid-eighties and ran into each other somewhere in the late nineties, always chatting, always excited about whatever the other guy was working on. as a high school teacher in the winter and camp director in the summer--working weekends at the nearby second-run movie theater as well--i was always amazed that he had any time to work on anything on the side...but he did. 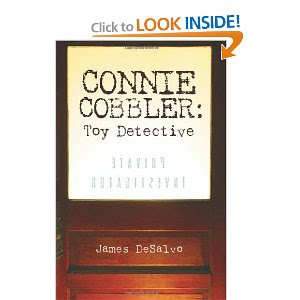 "Connie Cobbler is a toy who had it all. She was the star of her own television series Connie Cobbler and the Pastry Pals. Her face appeared on t-shirts and she even starred in The Pastry Pals Movie. She was one of the brightest stars of Toy Town. 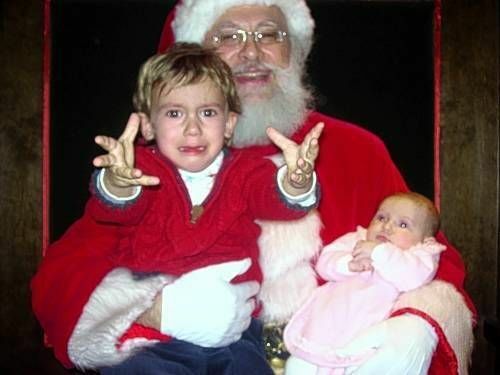 Then tragedy struck. Her friend TIFFANY TART accidentally disappeared into the Custard River while filming an episode of Connie Cobbler and the Pastry Pals. Unable to save her friend and spurred on by grief, Connie Cobbler turned away from show business and became a hard boiled, root beer swigging private detective, dedicating her life to protecting the toys of Toy Town. "Connie Cobbler's day begins with a tough case. BRENDA BOMBSHELL, one of the top stars in Toy Town, needs Connie to find her kidnapped dog. When Connie starts working on the case, she soon figures out that not everything adds up. Clues lead her to the missing pooch, but some clues also suggest that Tiffany Tart's disappearance might not have been an accident after all. The closer she comes to the truth, it becomes clear that someone wants her out of the picture. Permanently. Calling upon her best friend ACTION JIM, a former action figure who gave up a life of adventure for love, and the rest of her Pastry Pals, Connie sets out to discover what kind of toy would want her gone and solve the case of what really happened to her friend." i'm sure you can gather the references. and i can promise you there are many more--and quite a few twists and turns--throughout this wonderful, fanciful book! give it a look and make my friend james happy! That book sounds like it is right in my wheelhouse. 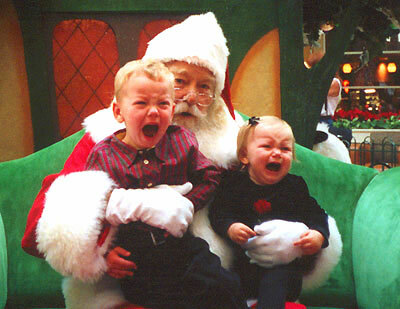 hahaha i love the scared of santa pics every year. thanks for the book recommendation-i'll add it to my list to read.